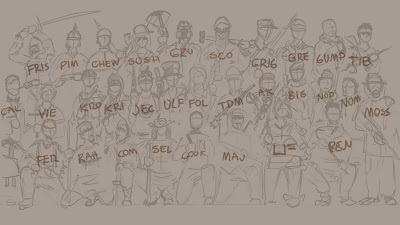 LJFHutch: Zombie Survivors Group Photo! 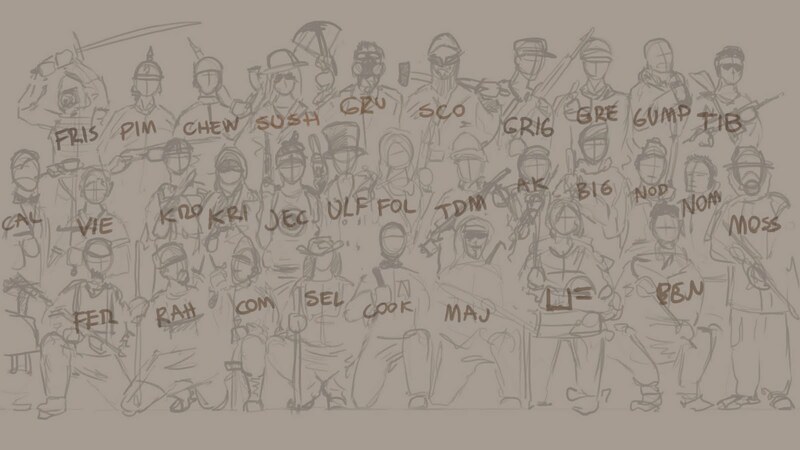 Woo, here's a super rough initial sketch of everyone, getting all the info into that one image was a bit more difficult than I anticipated but I'm done! Now I can begin the fun stuff :) Anyhow, check it out, some stances and minor things will change as I paint them properly, but it's pretty good.